Please find attached a list of confirmed dates for the first half term of the new school year. There will inevitably be additions to this list as we progress into the term and we will endeavor to provide you with as much notice as possible of the new events. Further information about each event will be sent to you closer to the time. Please note the first event of the year is the ‘Meet the Teacher’ evening. This will be held on Thursday 23rd August. Each presentation will take between 45 minutes and 1 hour. The School Hall and the Mandarin Rooms Diana Choy, Patricia Wu, Joyce Chen, Jackie Chan, Snowy Chen, Linda Tsoi. Please pop into see the specialist teachers if you would like further information about their particular aspect of the curriculum programme. Members of the School Leadership Team will be available to meet and greet parents and will be popping into classrooms during the presentations. Please do not hesitate to ask any questions you may have. The Leadership Team is: Perry Tunesi (Principal), Chris Briggs (Vice Principal – Years 1 – 3), Bryan Turner (Vice Principal – Years 4 – 6), Skye Jeynes (Lead Teacher Curriculum – Years 1 – 3), Trudy McMillin (Lead Teacher Curriculum – Years 4 – 6) and Elise Draeger (Lead Teacher Learning Access). Refreshments provided by the PTA will be available on the playground before the start of the two sessions. Class by class basis. Times to be advised. We are interested in inviting high energy, hardworking personnel to work for us as supply EA or Lunch Supervisor. If you are interested, please send your resume to Ms. Kari Yeung via email info@sjs.esf.edu.hk . Candidates will be shortlisted for an interview. ** Personal data is collected and used for recruitment purposes only. Kwoon Chung Motors the company which operates the morning and afternoon shuttle bus service from Fo Tan MTR Station to school and back have provided the emergency contact number should you have any queries regarding the bus service. Tickets are available from the SJS School Office at a cost of HK$7.50 per journey. 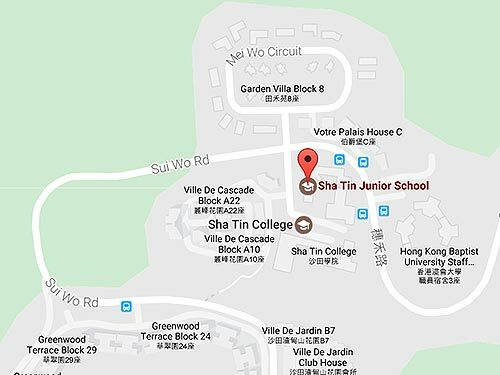 SJS students must be accompanied on the shuttle bus by an older STC sibling or a responsible adult.